Brestovacka Spa, the natural health resort, is surrounded by the woods of beautiful deciduous and evergreen several-hundred years-old trees. It is 8 km south-west of Bor (eastern Serbia) and 4 km northwest of the village of Brestovac according to which it was named. The mineral waters of Brestovacka Spa were used in the times of Roman and Byzantium rules. During Turkish rule, the Spa was a prominent place in the Vidin region of the time, as recorded in the notes of geologists, archeologists, travel writers, historians, geographers…, as well as evidenced by the remains of three baths-hamams raised at that time, out of which only one has been preserved – the one situated in the middle of the Spa. After the liberation of Timocka Krajina from Turkish rule in 1833, the Spa became an important sanatorium in the Principality of Serbia. Princess Ljubica with her sons visited the Spa in 1834, and Prince Milos Obrenovic who came there the very next year, ordered for an immediate chemical analysis of the water. The analysis was made at the water spring by Baron Herder in 1835. He indicated the curative properties of the water and compared it to the well known hot baths of Heischtein in Switzerland and similar springs in Tyrol. 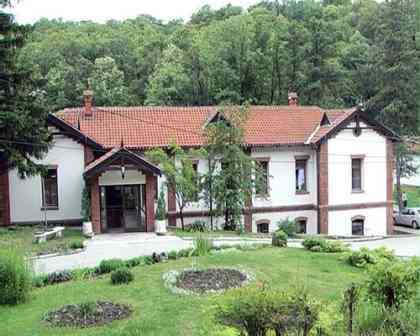 The Brestovacka Spa became popular with the Karadjordjevics royal family as well. Prince Aleksandar Karadjordjevic raised “Zdanje” edifice, named later the “Prince’s Court” (In 1905, King Petar 1 had a medical treatment in the Spa). So, by the middle of the last century, Brestovacka Spa ranked among the most frequented spas in Serbia; besides the local guests, people from abroad also came, since the fame of its curative waters had spread far. (At that time, thanks to the donations by Milutin Petrovic, brother of Hajduk Veljko the famous rebel against the Turks, the “flats” for the poor guests and patients were constructed). The reputation the Spa had attained by that time ensued in proclaiming it an official sanatorium – by appointing Dr Stevan Macaja the first residential doctor of the Spa. Since that time, therapies and usage of the water have been under constant supervision of doctors. 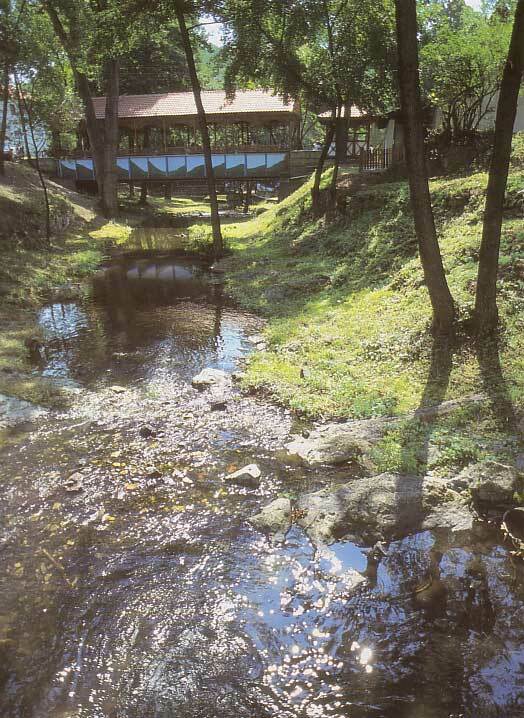 There are several springs of curative waters in the Spa – all arranged along the banks of the Pujica River – but with only 10 of them chemically and balneo-logically tested. (The first analysis made by Hruschauer in Vienna in 1834.) The curative properties of these thermae (32° – 38° C) and homeo-thermae (40° C) are based not only on the micro elements of calcium, lithium, kalium, rubidium, copper, chlorine, iodine, bromine, magnesium… but on radioactive properties of uranium, radium and radon. These natural oligothermal waters are successfully used in many ways: by bathing, drinking, spraying, rinsing, aerosol, and as an aid in medicaments and physical treatments. The best results have been obtained in healing the diseases of muscles, bones, joints and skin, and in curing of effects of injuries, general exhaustion of the body and in the states following surgical interventions. The health resort – set at 385 m above the sea level – is surrounded by about 100 hectares of vastly spread oldest forests in Serbia, sheltering the Spa from the winds, providing for a more pleasant climate without high heat, with significant humidity of the air. All this, added to the healing effects of the water, contributes to recuperating and rehabilitation, and to good rest and recovery of healthy guests as well. The nature has been generous in every respect towards this part of Serbia. The landscape is fascinating in every season: in spring – when everything is clad in green, in autumn – when the shrubs of sumac “flatter in the firy colours of red flames”, in winter – when the silence of the endless white cover rules over the area… In addition to mountaineering and picnics, the Spa visitors are offered the possibility of hunting on the first class hunting grounds over the heights of Mr. Crni Vrh, or of fishing in Lake Borsko and in numerous rivers and streams. Hunting and fishing can be appended by the visits to Lazareva and Vernjikica Caves so as to see the world of underground stillness and of extraordinary nature’s gifts. There is also the possibility of mastering through the River Lazareva Reka Canyon and the spans of Dubasnica, as well as touring many of the archeological sites of various epochs. (Zlot, Krivodol, Seliste, Coka, Balas…) – the days spent in Brestovacka Spa cannot ever be forgotten. Pleasant stay in this resort is bettered by the “Days of Brestovacka Spa” tourist-entertaining and cultural festivities traditionally held in mid August. Folk dancing groups perform their authentic dances, songs, instruments, with the contest in cooking folk meals of the region. Accommodation is available in the Brestovacka Spa itself – “Izletnik” Motel, “Srpska Kruna” and “Dom Odmora” Hotels and in a few comfortable villas (Toplica”, “Banja”…) with 100 beds, and some thirty more in private homes; in Borsko Lake – in “Jezero” Hotel, villas and camping settlement with the total of 500 beds.